The Past Couple of Weeks In My Sabbatical: Various! How’s that for a vague title for a blog post? But it is accurate, really: for the past couple of weeks my attention and energy have been focused on a range of different things. I haven’t felt inspired to write a sabbatical update for a while precisely because my activities seemed so miscellaneous, and not that variable, either, from week to week. But it seems like time to round things up. First, some good news! One of the questions Jo asks us at each ‘Meeting With Your Writing‘ session is how we’d like to feel while we’re working. At the top of each new entry in my MWYW notebook is my answer, which has become a kind of mantra for me this term: “engaged, optimistic, productive.” It’s optimism that has given me the most trouble, what with winter and all, but sometimes it has also been hard to tell if I’m being productive because I haven’t been quite clear on my goals. The past week has been a particularly good one in all these respects, though, because I decided on a concrete task I wanted to accomplish that turned out to be really fun to work on. Imagine that: I have been enjoying writing! In fact, it came so (relatively) easily and has caused, so far, so little hair-tearing and second-guessing that I’m starting to think I must have gone horribly astray. It’s a subset of the larger plans I have been following for the George Eliot book project, something I thought would work well at essay-length. It’s now in a reasonably clean draft awaiting a final round of editing and revision. We’ll see what becomes of it, but right now I’m just happy and energized by the experience of pulling it together. In other good news, the May issue of Open Letters Monthly went up on schedule; if you haven’t already checked it out, I hope you will! As always, the pieces range very widely — more widely, we think, than in most other literary journals. Books reviewed include Ishiguro’s The Buried Giant, Ian Bostridge’s Schubert’s Winter Journey, Han Kang’s The Vegetarian, and Helen Vendler’s The Ocean, The Bird, and the Scholar; John Cotter contributed a thought-provoking essay on the possibility that the gigantic glass atrium at Boston’s MFA is a symptom of our changing relationship with art; Steve Donoghue tests (as only he can) the claims of a new translation of the Iliad to be “declaimable”; and I offer a “Second Glance” at Braddon’s Lady Audley’s Secret. I thought about Open Letters today when I read this piece on the effects of Britain’s REF: “Taking on a journal editorship? That means you’ll be helping other scholars publish their REF research, but what about yours? Can you spare that kind of time?” I realize that Open Letters is not necessarily the kind of journal editorship she has in mind (though I have had British scholars tell me that writing for it is something that they think works in their favor), but I have often felt particularly pleased that one thing I’ve been able to do there is show off how smart and interesting my academic colleagues and connections are. I don’t know if that kind of editorial role will count in my favor if I ever go up for promotion, but I think (I hope) that we are still clinging to more generous and collegial models of scholarship on our side of the pond — for now, and maybe just barely, as that piece emphasizes. The other writing I’ve done has already shown up here, in my posts on my recent reading. 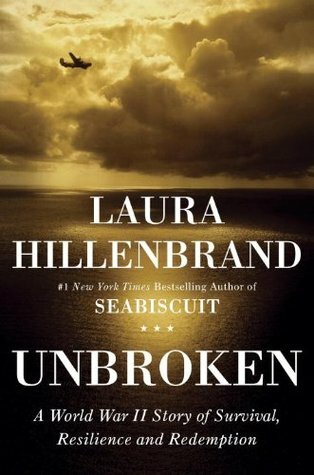 I’m currently completing my “war in the Pacific” unit with Laura Hillenbrand’s Unbroken, which I gave my husband for Christmas. I rarely risk buying him books, but he likes good nonfiction, and this one seemed ready-made for him, as he’s a long-time track and field enthusiast and his father piloted a B-24 during WWII. He really enjoyed it, and I’m enjoying it too — though “enjoy” probably isn’t quite the right word for either of us, since it’s rather a grim story! A lot of it is, naturally, very reminiscent of elements of both The Narrow Road to the Deep North (particularly the treatment of the Allied POWs in the Japanese camps) and Shame and the Captives (especially the context and commentary Hillenbrand provides on the aspects of Japanese culture that contributed to the extreme brutality of the camps). I find Hillenbrand’s narrative a bit clunky or heavy-handed at times: it has that “one damn thing after another” rhythm that is perhaps inevitable when you’re putting together a lot of material into a fairly straightforward chronological account. I suspect that images from the novels will stick with me longer than anything from her book except the outline of Zamperini’s undeniably astonishing story. Once I’m done with Unbroken I think I’ll be happy to read something that doesn’t involve beatings, excrement, or hungry sharks. I picked out Nicola Griffith’s Hild and Sybille Bedford’s A Legacy with my birthday gift card to Bookmark, so one of them will likely be next, though I also got Aislinn Hunter’s The World Before Us from the library today because a friend highly recommended it. I’m starting to be more aware of the luxury it is to be choosing my reading material this freely: it won’t be long before my sabbatical is officially over (June 30 suddenly doesn’t seem so far away! ), and I’ve already started thinking a bit about fall classes, as book orders were already due. I’m second reader on an MA thesis that should get to me in early June, and I’m also participating in a PhD comprehensive exam coming up in just a couple of weeks, for which I’ve been having semi-regular meetings with the student. A sabbatical is not, in fact, ever a period of complete isolation or exemption from one’s regular duties! But come September I’ll be doing required reading again.